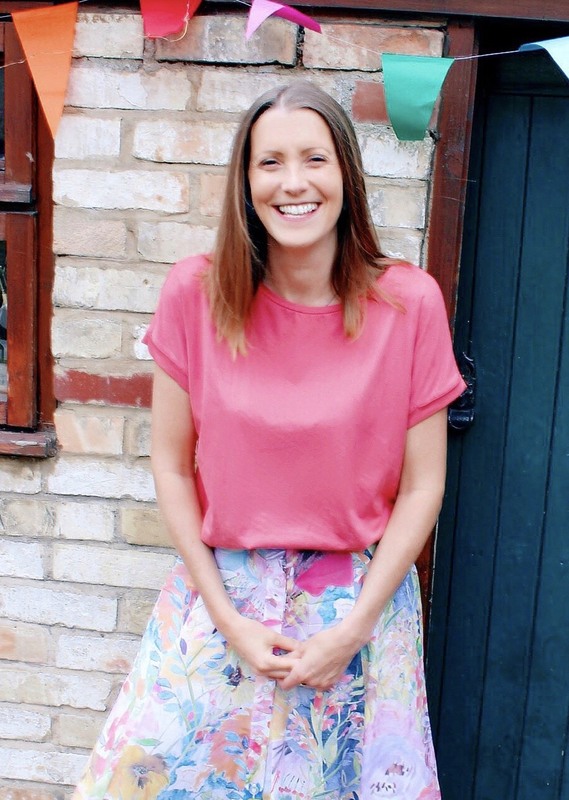 Isabelle Broom was born in Cambridge nine days before the 1980s began and studied Media Arts in London before joining the ranks at Heat magazine, where she was the Book Reviews Editor. Always happiest when she off on an adventure, Isabelle now travels all over the world seeking out settings for her novels, as well as making the annual pilgrimage to her true home – the Greek island of Zakynthos. Currently based in Suffolk, where she shares a cottage with her dog Max. To readers of the blog who may not be familiar with you or your writing, can you tell us a bit about yourself and how you got into writing? I have been writing stories down ever since I could write things down, but even before that I enjoyed creating imaginative games with my toys. I was a big fan of ‘Care Bears’ as a kid, and I would make up plays and have my toys act them out. My dream growing up was always to become an author one day, but it wasn’t until about four years ago, when I won a short story competition, that I felt confident enough to tackle a big, solid novel. And thank heavens I did! I continued to work full-time while writing my first four novels, but last summer I made the decision to scale back a bit and turn my hand to freelancing, which I still do today. I’m based in Suffolk now, where I share a small converted barn with my dog Max, and on the days that I’m not working in the city, I’m writing, plotting, reviewing books for heat magazine or I’m off travelling the globe to research novel locations. It’s a very busy life, but it’s all mine and I love it. Can you tell us a bit about your upcoming book, ‘One Thousand Stars and You’? My new novel is set in the colourful and endearingly chaotic country of Sri Lanka, where Alice and her two best friends have travelled to for a once-in-a-lifetime trip to celebrate turning 30. Alice’s long-term boyfriend Richard has not gone with them, however – adventurous locations are definitely not his scene – but he says to Alice that when she gets back, they should take the big next step in their relationship. For Alice, who was outgoing as a child until having her wings clipped by a nasty accident, this holiday feels like her last hurrah. And then we have Max. The three girls encounter former soldier Max and his friend Jamal a few days into their trip, and the five of them begin to travel together. Drawn to one another from the off, Alice and Max soon discover that they have lots of things in common, but is it just friendship they’re feeling, or something deeper? It’s a story about being brave, being yourself, and being bold – but most of all it’s an exploration of love in all its many guises. Is simple contentment good enough if it means saving those close to you from upset, or should you always chase down happiness as ferociously as you possibly can? Oh, gosh! Well, there are just so many authors that I love and respect, across all genres. To keep things simple, I’ll stick to fellow scribes of so-called “women’s fiction”, and I would choose Rosie Walsh (author of ‘The Man Who Didn’t Call’) because she is wise, warm, funny and writes more beautifully about love than anyone else, Katie Marsh (‘The Rest Of Me’), who makes me laugh, think, cry and feel with her wonderful books, and Cesca Major, due to her wit, passion and utterly captivating writing. Why did you decide to write female fiction? I don’t think it was ever a conscious decision, to be honest. One of the best pieces of advice I was ever given was to “write the books you want to read”, which is exactly what I do. I grew up reading a variety of genres and still enjoy many types of both fiction and non-fiction, but the subject that has always fascinated me the most is people – how lives are shaped by love, tragedy, heartbreak and success; how we respond to one another; how we find someone to share life with; how travel helps us to grow. I pour so many of my own experiences into my writing, and I believe that if you begin with a foundation of truth, then you can’t go far wrong. I want books that make you think and feel as well as just entertain you, so those are the stories I try to write. Your books are always set in amazing locations that you travel to for research. Where has been your favourite location? There are so many! I love the very beginning, when you sit down with a few ideas and a blank page and start plotting. I love seeing my covers for the very first time, because that is the moment you realise your scrambled collection of words and thoughts will one day be a real book, and I get a huge buzz out of delivering that final, copy-edited and page-proofed edit, knowing that the next time I see it will be when it’s delivered back to me in a big pre-publication box of shiny finished novels. Of the writing nuts and bolts, my favourite bit is when characters begin interacting. You can plot and plan and outline those people as much as you want, but you never really know them until they begin communicating with one another – that’s the point when the real magic starts to happen. I feel extremely fortunate to have secured myself an incredible agent and a legendary publisher, and while there have been ups (that first call saying an offer was in) and downs (my first big structural edit – I lay in the bath and wept), overall, it’s been a total blast. The fact that I get to make up stories for a living still prompts numerous pinch-me moments, and I am and continue to be so very grateful. Of course, if I had a magic wand in my hand right now, then a few (hundred thousand) more sales wouldn’t go amiss. Oh, and a film rights deal with Aidan Turner snaffling the lead role, please! Impossible question klaxon! There are too many, I honestly don’t have one favourite – I have many favourites. I can tell you my favourite book of the past few months, though – ‘This Is Going To Hurt’ by Adam Kay. Not only hilarious, but absolutely vital. I cannot recommend it enough. ‘War and Peace’, because it’s huge and I love it, but never have time to read it. ‘Harry Potter and The Half Blood Prince’, because I love all-things Potter and this book is my favourite of the seven, and probably something by Bill Bryson, too, to keep me chuckling. I still cry tears of mirth whenever I read ‘The Life and Times of the Thunderbolt Kid’. Decide which genre you want to write within, then set yourself a challenge to read the Top 10 bestsellers in that category, be it crime fiction, sci-fi dystopia or romance. As you read, note down observations. Ask yourself what these authors have done differently, or better, and how they have developed their characters, then map yourself a list of dos and don’ts. If you haven’t already, then pick up a few “how to write” books and learn as much as you can about structure and plot. Trust me, getting lost in the middle of your novel will only knock your confidence and set you back. The planning may seem dull compared to the fun writing part, but it will help you to stay on track and make sure that your character arcs don’t vanish into thin air. Try to write every day, even if it’s just a few lines, and on the days the creative juices aren’t flowing, go back and edit what you’ve already done. You need to live and breathe a book for it to really flourish. Probably Post-it notes – and a pen. Lots of thoughts occur to me when I’m in the writing flow and scribbling them down is absolutely paramount. The one item I do NOT need is my phone. So, so, soooooo distracting! I guess the biggie is that my new novel ‘One Thousand Stars and You’ is out now. There’s also a competition currently running on my Penguin Author Page (www.penguin.co.uk/authors/isabelle-broom/126001/), where you can win the chance to be a named character in my summer 2019 novel. I often do giveaways and polls etc on my Twitter and Facebook, and whenever I embark on a research trip abroad, I use the hashtag #BroomsBookTrip on all my many Instagram photos. Just search for @isabelle_broom to find me. My next big adventure is coming up on 2 November, and it’s a DOOZY! Follow Isabelle Broom on Twitter Isabelle Broom and Facebook Isabelle Broom for updates. You can buy One Thousand Stars and You from Amazon and is available to buy from good bookshops. With an absolutely stunning cover, this book sounds like a delicious read! 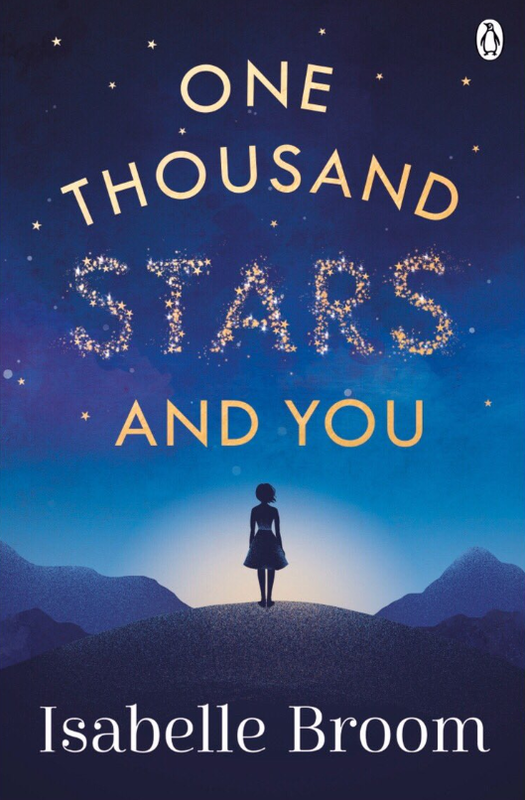 You can pre-order One Thousand Stars and You from Amazon and will be available to buy from good bookshops from 23rd August 2018. It was only in April that Isabelle Broom released her debut novel, ‘My Map Of You’ and she’s already back in November with her second book called ‘ A Year And A Day’. Three women. Three love stories. One city. For Megan, visiting Prague with her friend Ollie is just business. Nothing more. Because if she admits the truth she might lose everything. For Hope, this trip is a surprise treat from Charlie, her new partner. But she’s struggling to enjoy the city when she knows how angry her daughter is. And that it’s all her fault. 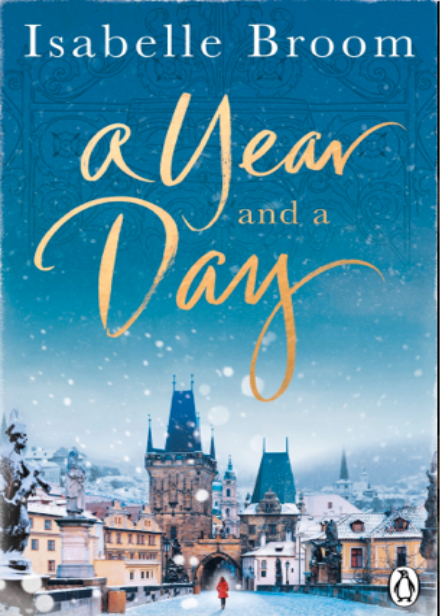 I’ve yet to read Isabelle’s first novel, but I look forward to catching up in time for the release of ‘A Year And A Day’ and with this stunningly beautiful cover, the book looks like a wonderful read. You can pre-order A Year and a Day from Amazon amd will be available to buy from good bookshops from 17th November 2016.